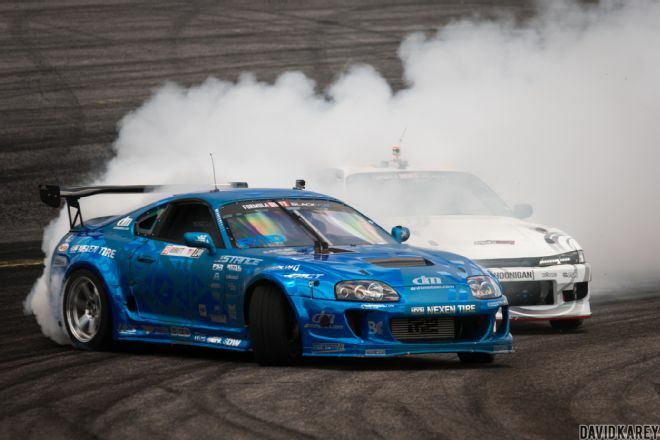 Formula DRIFT returned to the short oval at Orlando Speed World for Round 3 of 8 of its 2016 Pro Championship, and from the start everyone knew it would be different from last year’s rainy affair. The sun showed up this time, bringing unrelenting heat and humidity common to central Florida that wreaked havoc on both man and machine. In the end, 2015 series champion Fredric Aasbo behind the steering wheel of the Papadakis Racing Rockstar Energy Scion tC came out on top, but not without a lot of on-track drama and an equal amount of head scratching from a segment of fans. 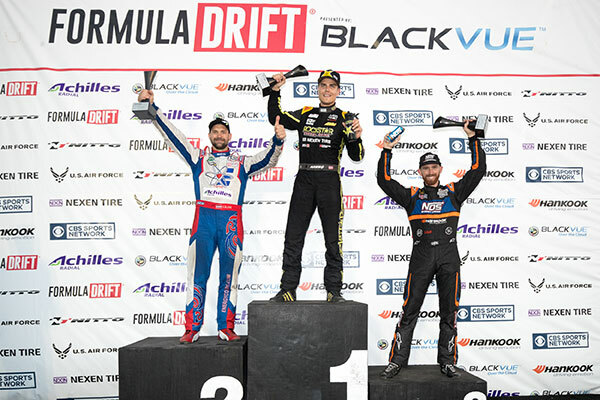 Long Beach, Calif. – June 4, 2016 – Formula DRIFT presented by BlackVue returned to Orlando for Round 3: Unchartered Territory. Fredric Aasbo in the Rockstar Energy / Nexen Tire SR by Toyota tC takes the victory to move into the lead in the Pro Championship standings. Round 3: Unchartered Territory returned to Orlando Speed World for the second consecutive year. The event weekend featured both the Pro 2 championship and Pro Championship with a full schedule of on-track action. The weekend was full of surprises as a couple of the top drivers were taken out early in the competition creating opportunity for many of the drivers to close the gap in the standings. Veteran driver, Tyler McQuarrie in the Mobil 1 Chevrolet Camaro face off against defending champion, Fredric Aasbo. After two “One More Time” battles, Aasbo got the slight edge to advance to the finals. Two-time champion, Chris Forsberg in the NOS Energy Drink / Hankook Nissan 370Z faced off against Latvian driver, Kristaps Bluss in the HGK / Mast / Motul / Achilles BMW E46. 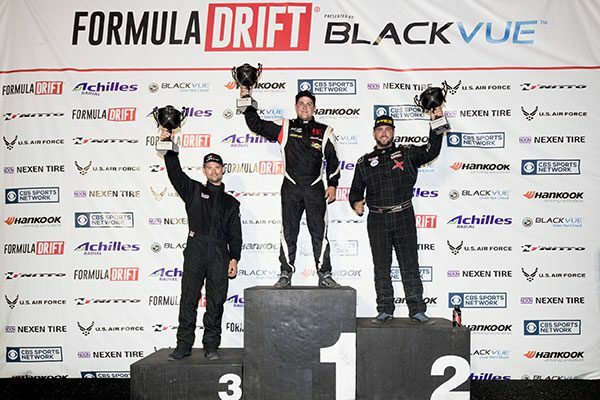 Bluss’ consistent driving was the determining factor as he moved in the finals for his first time in Formula DRIFT. In the final battle, Bluss on his lead run over rotated coming to an almost full stop which caused Aasbo to make contact and ultimately giving him the win and the lead in the Pro Championship standings. Forsberg finished in third place and moves into third place overall. The 2016 Formula DRIFT Pro Championship will continue to Round 4: The Gauntlet on June 17-18 at Wall Speedway. For more information visit, www.formulad.com and find Formula DRIFT on Instagram @formulad, Facebook www.facebook.com/formuladrift, Twitter @FormulaD, and snapchat formula_drift. Tune into Formula DRIFT on CBS Sports and check your local listings for airtimes.